What are the benefits of using our flexi time system? 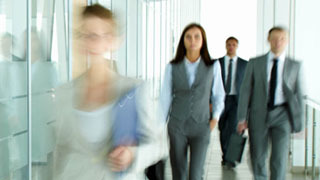 Stores all employees working hours in a central location, easily accessible anytime, anywhere. 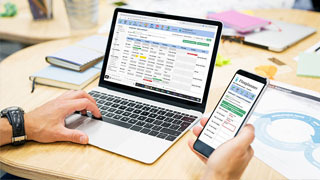 Where flex time schemes are operated on paper forms and via disparate spreadsheets, it is very easy for employees to fabricate the time they have worked. 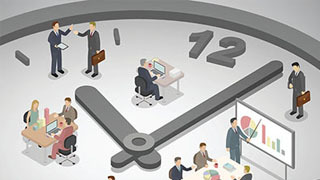 Indeed in some organisations it is common practice and one of the main reasons employers are reluctant to implement flexi time schemes. At its most basic level this falsification might be favourable rounding of times, at the other end of the scale it involve users not deducting lunch times, and adding hours to their totals or not declaring flexi leave. 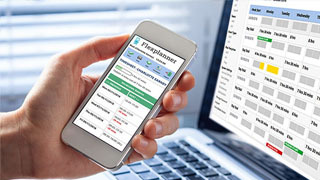 Flex Planner eradicates these problems by enforcing users to log in and out. 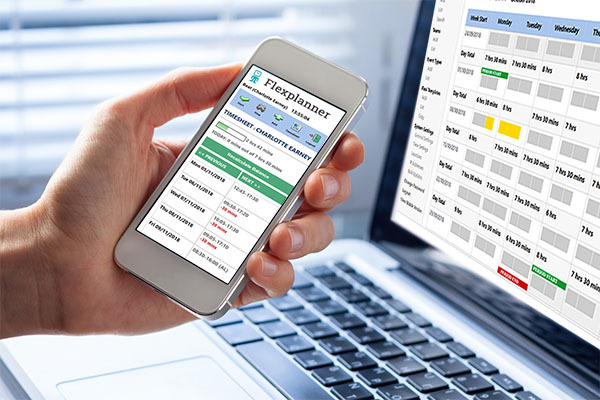 Time cannot be fabricated by changing the clock on their local machine since it is calculated on the Flex Planner server. Managers can quickly and easily view the timesheets of anyone in their teams, or acros the organisation. The system also lets members of a team view when others are logged in, thus enabling peer reviews of each others time entries. We estimate that the cost of buying the software will be very quickly reclaimed in lost employees hours, normally within a few of weeks of implementation.